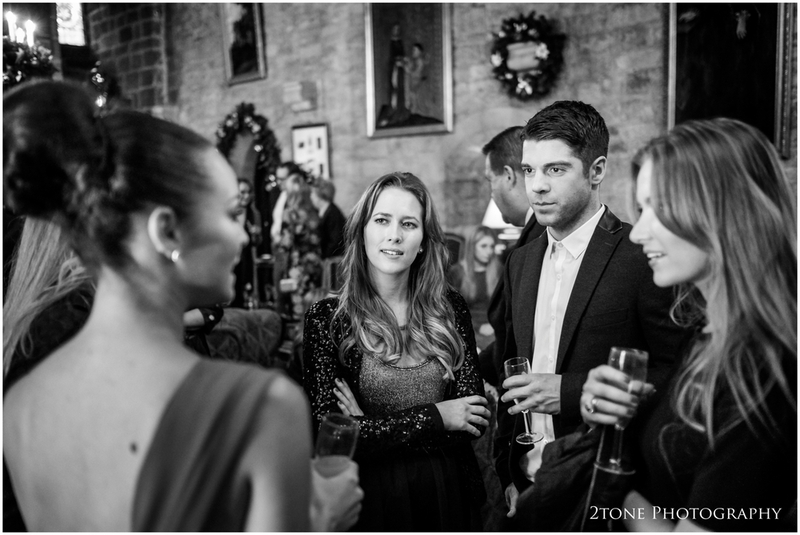 A winter wedding at Langley Castle - Natalia and Tom get married! Is it possible to know within the first few moments of meeting someone that you are about to begin a life long journey together? Tom certainly thinks so. On his wedding day, Tom happily told me that it was love at first sight for him from the moment that he set eyes on Natalia sitting across from him in the university library. He found the courage to go and talk to her the next day, they began dating and very quickly he won her heart. 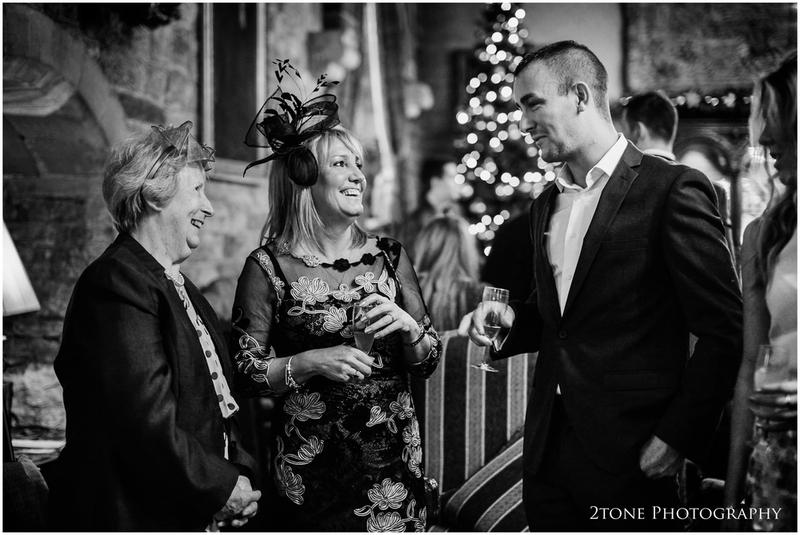 They chose a crisp and fresh day in late december for their wedding at Langley Castle in Northumberland. As usual, Nigel met the lads as they suited up for the big day ahead, while I headed over to see the girls in one of Langley castle's feature rooms. Natalia looked simply stunning, wearing a fish tail dress, full length veil with lace detail and holding a bouquet of deep red roses. The ceremony, festively decorated with the wedding theme colours of red, gold and silver was held in the Josephine restaurant. The fading light outside and the candlelit interior made for a very cosy and inviting feel. 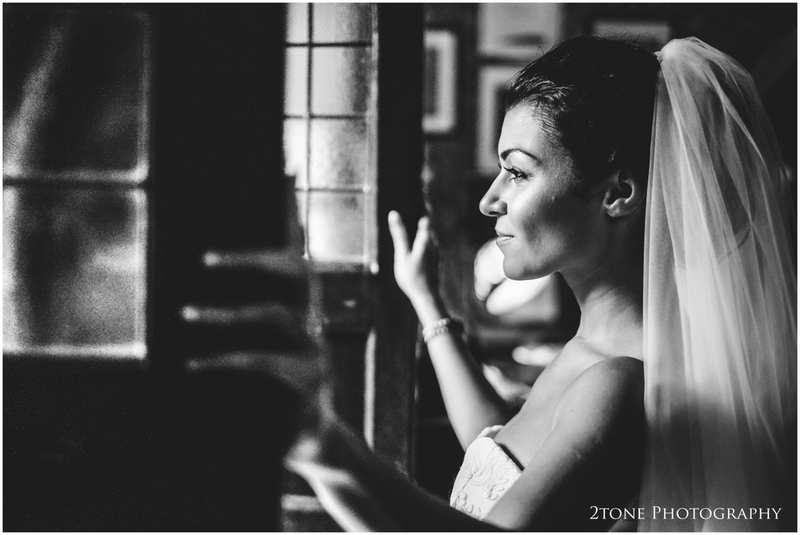 Weddings are filled with emotion and moments to capture, it goes without saying, but the ceremony it's self is one of my favourite times of the day. The look in Tom's eyes as Natalia makes her way down the aisle, the moment they are pronounced man and wife, and that very fleeting moment shared between the two of them just after they shared their first kiss, it's magic to witness. Our good friend Paul Lytton, a talented magician did a great job of entertaining the guests after the ceremony. I have to say, hat's off to this girl!! Don't forget that this is a late December afternoon, gradually getting cooler as the light faded and she looks sensational! Thank you to you both for braving the cold and allowing us to take these incredible shots, we hope that you treasure them for many years to come. The wedding breakfast and evening party was held in the Stuart Suite at the top of the castle decorated in the same red, silver and gold. 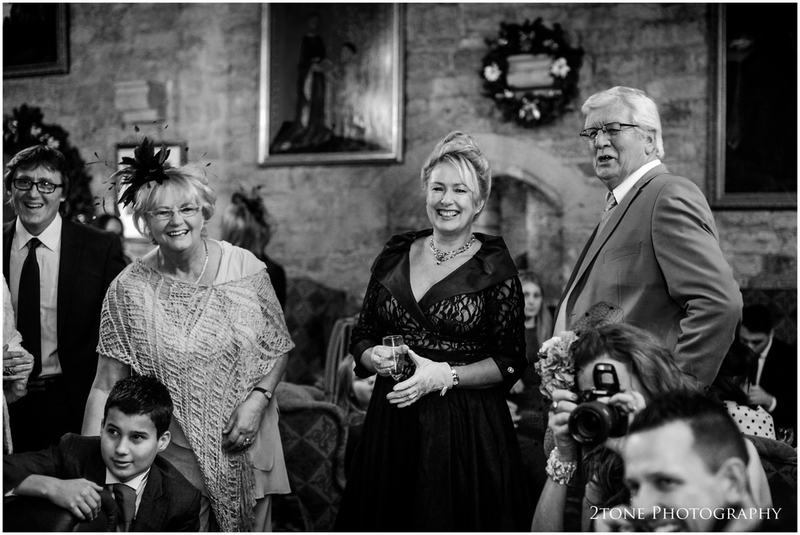 The speeches are another all time favourite time of a wedding day for me. I love the unreserved outbursts of emotion, the laughter, the crying, the proud look on the bride's fathers face and the embarrassed expressions from the groom during the best man's speech. These are the moments that bring back memories. Natalia and Tom take to the dance floor for their first dance as man and wife surrounded by their friends and family.